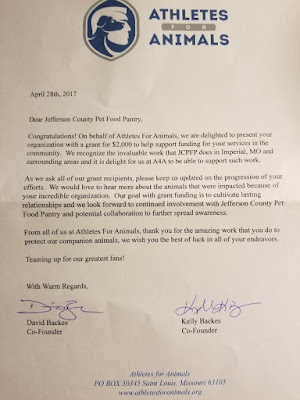 Jefferson County Pet Food Pantry : Thank You Athletes for Animals For The Grant! Thank You Athletes for Animals For The Grant! 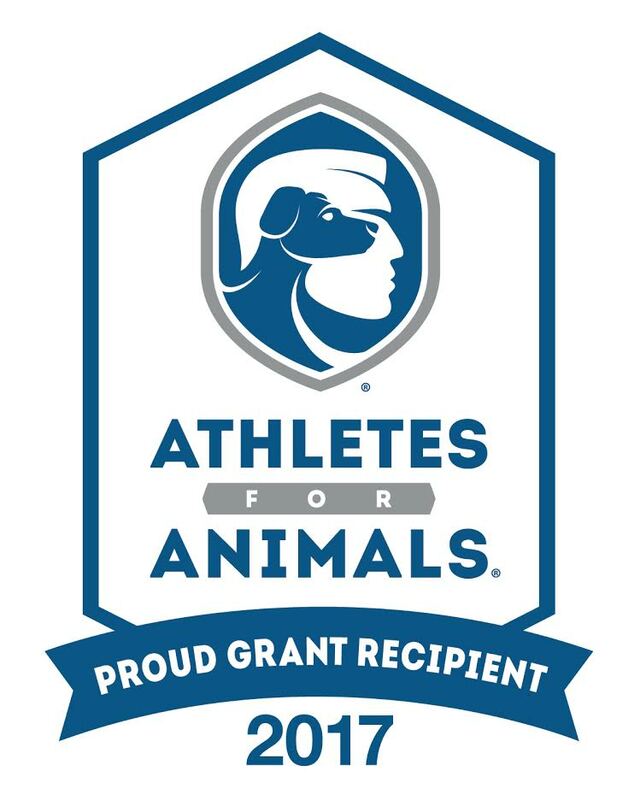 Thank you Athletes For Animals for our first ever grant. We are giddy! Thanks to our grant writer, Joe P who is relentless in submitting grants for us. 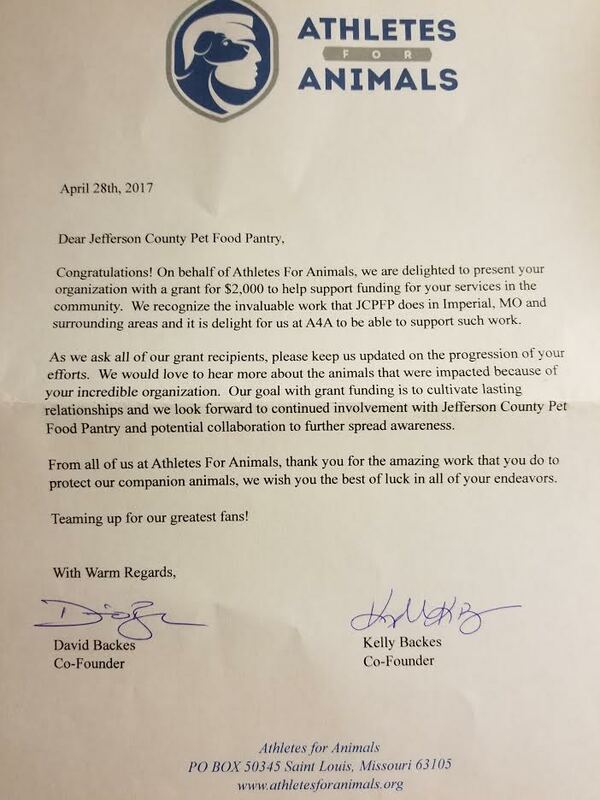 This $$ will help with pet food and cover many spay/neuters.